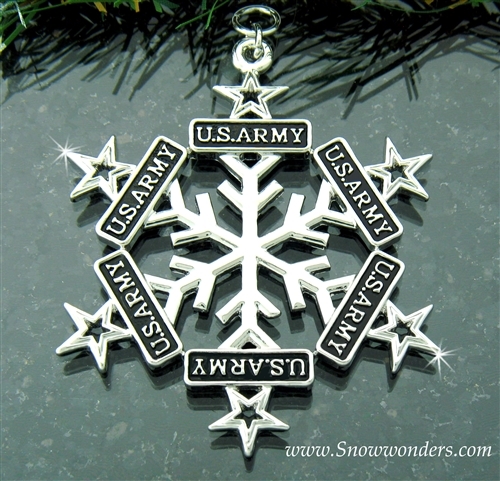 Check out this newly designed US Army Lead Free Pewter SnowWonders® Ornament we have added to our collection. 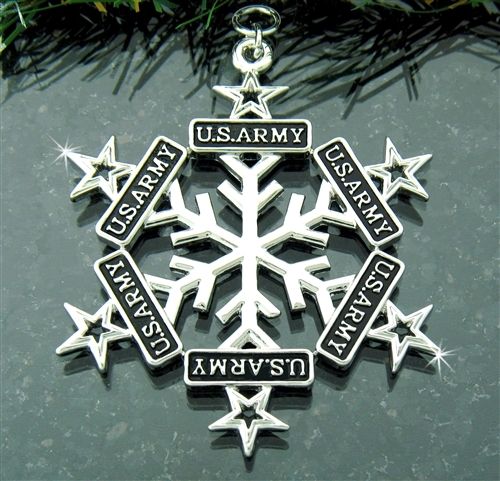 A traditional Snow Flake is adorned with US Army signs that are proudly displayed around the circumference of the snowflake, and each one is topped with a patriotic star. This is a perfect gift for a soldier or their loved ones. 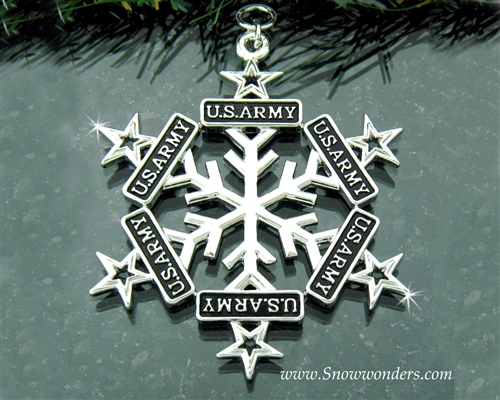 Hang it on your tree or in a window as a constant reminder to "Be All that you can be! ", "Army Strong!"